This Song Quilt is a transcription of how Vernyce sang A Little Stream of Honey. You'll notice the grid breaks down in the last two lines as she freely sings a coda. I picked a regal purple as the root color, because Vernyce shines purple in my eyes--and we both like purple shoes! The backing fabric and quilting are honeycombs, for obvious reasons. The quilt pattern is an Urban Elementz design that I used with the Innova auto-pilot. But I messed it up, so ended up using a ruler to quilt the bottom half. Life is all about improvisation. 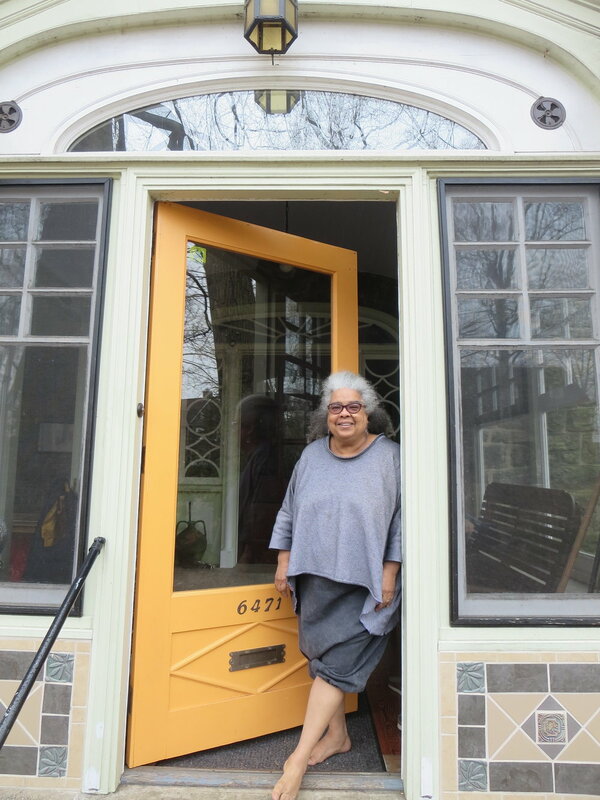 Vernyce Dannells at her home in Philadelphia, 2018. Honeycomb backing fabric and quilt design.